Oct 25th 2013 I brought a new family member home, her name is Bella she is a choc Lab and at 8 weeks of age she was already 22 pounds so I knew we would need help as she was going to be huge... I started looking on the Labrador.com website and the were 2 trainer on the website explaining different techniques to train your puppy, the first was a gentleman that had such barbaric training techniques that is frightened me, Then I found Dee Hoult in a training video show how to get new your puppy to stop nipping.. simply say OUCH, so each time Bella bite or nipped, we simply said OUCH and it worked so perfectly and still works, So we new "Applause Your Paws" was were team Bella needed to be, Thank you so much Dee for your caring approach to pet and pet parent training !!! 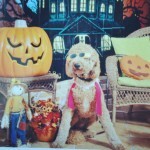 About 2 months ago, I contacted Applause Your Paws desperate because I was basically at wits end with my 1 year old goldendoodle. He is a 75 pound, smart, stubborn, and HYPER dog who had no idea what impulse control even was. Joanne, from Applause Your Paws, reassured me that Riley would get better. That is when the WONDERFUL and AMAZING Jessica came into our lives. She asked me to give her some time before making any decisions about Riley and was certain he would calm down. She has been a complete blessing and God send to my household. Riley absolutely ADORES her and is 100% better. 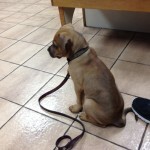 He is a completely different dog and is actually almost ready to take the Canine Good Citizens test. 🙂 Words cannot express how happy I am that I called and met Jessica and the wonderful staff at Applause Your Paws. Thank you so much for all your hard work and dedication! On October 25th, 2013 I brought home a new family member. I started looking online for labrador resources and came across Labradors.com. 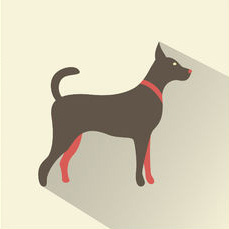 Miami dog trainer Dee Hoult had a featured video on their website about how to train your puppy to stop nipping. The technique works so perfectly that we knew we wanted to work with the dog trainers at Applause Your Paws. 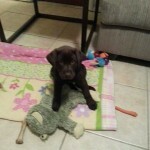 We signed up our 22lb, 8 week old Chocolate Labrador "Bella" for the Saturday afternoon Puppy Kindergarten class. We had five puppy classes with trainer Kristen Thompson, followed by four classes with trainer Dee Hoult -- Bella, my son Stefan and I learned so much! I was amazed that with positive reinforcement dog training, a bag of treats plus expert knowledge of training techniques for both the pups and us pet parents that Bella has responded wonderfully and well as all the other puppies in the class. Thank you so much Applause Your Paws Dog and Puppy Training in Miami, Florida for your caring approach to pet and pet parent training! We found Applause Your Paws dog training online when we were looking for dog trainers in Miami for our 9 month old Bull Terrier puppy named Gator. I wanted to let you know how wonderful our private lesson with Mike and Gator went tonight. We are very pleased with the techniques and success of what Mike told and showed us. He is a very good dog trainer and we feel much more empowered to know how to help our dog Gator be a better part of our family. Thank you so much. We are looking forward to your group training classes. Wishing you all a Merry Christmas! We live in Homestead, Florida. Our puppy Peanut, a high energy Boxer, is the second addition to our family. After training our first dog, training Peanut was mandatory. 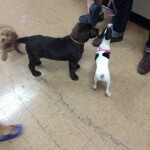 We had a very good experience with our first trainer, so we knew what to expect from a great Introduction Puppy Class. Applause Your Paws, specifically Emily, met and exceeded our expectations. Emily provided a positive and relaxed environment for both dogs and owners. Peanut was given countless opportunities to learn how to interact with other puppies both bigger and smaller than him (though after the 5 weeks, he ended up the biggest). The icing on the cake was the basic obedience he learned which wasn’t our main priority for this class. He quickly learned the basics: sit, down, stay, come, and paw. We already see the growth in Peanut and look forward to working with Emily and Applause Your Paws in the near future to continue his training and development. Thank you for a great Puppy Class, we had a blast! Hello, I just finished the five-week Canine Good Citizen Obedience and Manners training with Mike Vick. He is phenomenal and helped me greatly with our Doberman, Trident. He told me you are planning on opening a place in the near future. I am really glad about that, and hope to take advantage of other classes offered soon. Thanks for all you do to make life with dogs so much more enjoyable! I adopted a two year old dog named Pandora about six months ago. She is a beautiful, friendly and loving creature. After a couple of weeks I realized that she was a border collie mix and her behavior was decidedly collie. So I had adopted an instinctual herding dog. She particularly liked to herd other dogs with her piercing bark and her jumping and spinning moves. I realized that many trainers wouldn’t be right for Pandora and me. Fortunately, after about one month I found Dee. She told me that she enjoyed being a trainer as she had to train an animal and a human owner. I immediately knew that things would work out well for Pandora and myself. Apart from her knowledge of dogs and how to train them, she brought a genuine enthusiasm and love for dogs to the table. Pandora immediately responded to this and wanted to please Dee. Training sessions were based on the behavior I wanted Pandora to exhibit, not some preset thinking. Thanks to Dee I have a well behaved dog that no longer elicits complaints from neighbors. I wholeheartedly recommend the Doggie Deeva to all that need help in training their loving pets. We contacted Applause Your Paws Dog and Puppy training in Miami, Florida to help us introduce our new Mini Dachshund Puppy Marlowe to our eight year old Yorkie Indy. I wanted to let you know that we just finished a training session with Mike and he was fantastic. 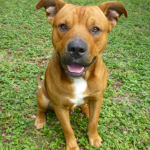 He was absolutely great with both of our dogs, extremely knowledgeable, and above all, very personable. He gaves us a great deal of advice and showed us training techniques that are already working. I’m sure we’re not the first people to say this, but I think what we learned most from him is that dog training is more about people training. He was great at explaining that we have to change some of our behaviors in order to have our dogs behave the way we want. We look forward to following up with Mike in a month or so for a possible second private in-home lesson and we are looking into enrolling Marlowe into your puppy kindergarten group class. Please tell Mike thank you on our behalf. I went online to find a dog trainer who could come to the Brickell area to help me house train my new Shih Tzu puppy “Cheerio.” Anytime you hire a service professional to come into your home you have to be able to trust that company and individual — you just never know these days who you can trust. When Wilfredo Rodriguez, ABC Certified Dog Trainer, arrived I immediately felt comfortable and confident with him in my home. He was professional, very knowledgeable and created a positive learning environment for me and my puppy. I asked him so many questions and he was happy to answer them all for me! I would recommend Wilfredo Rodriguez from Applause Your Paws to anyone who is looking for a kind and enthusiastic dog training professional. Thank you Wilfredo from me and Cheerio! We met Dee almost a year ago when she was referred to us. We needed help with our 4 y/o Jack Russell Terrier; Nacho. Apartment living for him was difficult as well as socialization. Now, we have been living in Miami for 2 years and even though in the past we had had various incidents with him, having Dee as our main guidance and resource has helped us tremendously to retrain ourselves and maintain Nacho’s skills! At present, we are again under Dee’s wing as we are about to become parents for the first time! One of the first things that drew me to calling Applause Your Paws Initially was the fact that they were certified by the Dogs and Storks program, a nationally recognized program that teaches expecting parents like us what we need to know as we prepare for life with our dogs and our new baby. We knew that at some point in our life with Nacho would need once again retraining to make this delicate process smooth for all of us! So yesterday, April 29th we sat with our beloved Dee and had a Videoconference (a first for AYP!). We had a personalized Dogs and Storks presentation –as current AYP clients we felt very comfortable and confident using the video conference method. Since we had already worked together, we knew it was the next best thing to having her next to us. I must say, it was a very fun experience! And although we have some homework to do at home, we are defineatly more confident about what lies ahead! It’s been a week since Boo’s first training with Mike. He is a different dog! Mike is everything you said he was, fantastic! Boo just melted when he met him. He taught us so much and he did so well that we remembered much of it. He was a great teacher, gentle, yet firm. The night after we had our session with Mike Boo was very calm, I thought it might be that he was just very tired. The next day, though, he was the same. He’s been great on walks, goes to his crate easily, looks for approval, and though he wants to snap when taking a treat, it only takes one time of turning my hand down for him to be gentle. We came across a set of people with two dogs. Livvy started barking like usual, so did he. I calmed him with a treat and praise and he obeyed! We have a long way to go, but already he knows we’re the boss. Thanks again to “Uncle Mike” for taming all of us. He is great! I met Dee while she was on holiday in the UK, and we got talking about dogs, and more to the point the fact that I am the proud owner of a lovely miniature schnauzer called Bella. Bella is a great puppy she was just 5 months old, and I am a first timer, not to say I’m not enthusiastic – I’ve read several doggy behaviour books, and watched most episodes of Caesar Milan and Victoria Stillwell’s TV programs, but there was a constant nagging in my head…am I doing this right, why doesn’t she do what I want her to etc? In the minute or two I was introduced to Dee her enthusiasm and love for dogs was so obvious, I thought I had to take my chance and see if she might help me with Bella. Even though Dee was on holiday she said yes (and enthusiastically too! ), and we met up in Oxford. What I’d learnt from all the books and TV programs is what training a dog should look like, but in just a few hours I’d learnt what it feels like too! The problem with knowing what you’re meant to do is there’s no context to it, what Dee does brilliantly, is she explains why Bella was doing certain things, and why I should be training her in a certain way. In a matter of 2 hours Bella’s behaviour had changed significantly, she was doing things I thought she wouldn’t learn to do for months such as ‘leaving it’, not jumping up at passing dogs and owners, and coming back when commanded despite attractive distractions. Since that weekend my understanding of Bella has deepened considerably. Walking her (which used to be a problem – she’d sit and stop whenever she felt like it) is now easy and fluent, and she walks to heel brilliantly. All in all I cannot recommend Dee enough, she was fantastic and Bella and I are eternally grateful for the couple of hours we spent together, all the books, and TV programmes in the world couldn’t substitute that experience. Thanks you so much Dee! We have used Applause Your Paws for three of our dogs. “Uncle” Mike is the most fabulous trainer any dog would love to have. Mike worked with our Standard Poodle, Dolly, until she passed unexpectedly. In the short time he worked with her, Dolly responded to Mike’s positive training methods and actually wanted to learn from him. Our Australian Silkie Terrier, Sadie, resisted all training by several other trainers. Enter Mike and the magic happened. Sadie looks forward to Mike’s visits and his training. Our dogs have all been rescues with unique problems. Mike even met our greatest challenge, Lily, also a rescue Standard Poodle. In just six weeks, Mike has taken a scared, abused and unsocialized dog and turned her into a confident, trainable, eager girl. Mike and Applause Your Paws have the greatest empathy and rapport with their students and their students’ families. Thank you. We were looking for a specific kind of dog training in miami and in a n affordable price range, because our plan for our yellow labrador pup was to train her as a service dog. I knew this kind of training would be something that would take many hours of training and for an extended period of time in order for our lab to becoming a healthy, dependable service dog. After doing research on certified dog trainers for our yellow lab pup, we came upon Dee. It’s been almost one and a half years now- and we couldn’t be happier with choosing Dee as our trainer. She has taught my husband and me so much on how to prepare our lab as a service dog. And if there is ever a question, we don’t hesitate to send her an email. She is always prompt in responding back and gives wonderful advice on how to handle that particular situation. We take her knowledge and experience very seriously and trust when she recommends products, institutions, or trainers. As for the Applause Your Paws staff, we have always been treated professionally and alerted in a timely fashion of delays, changes, or cancellations. We highly recommend Applause Your Paws Dog Training!